RUSSIA. Near Sergeyev Posad. 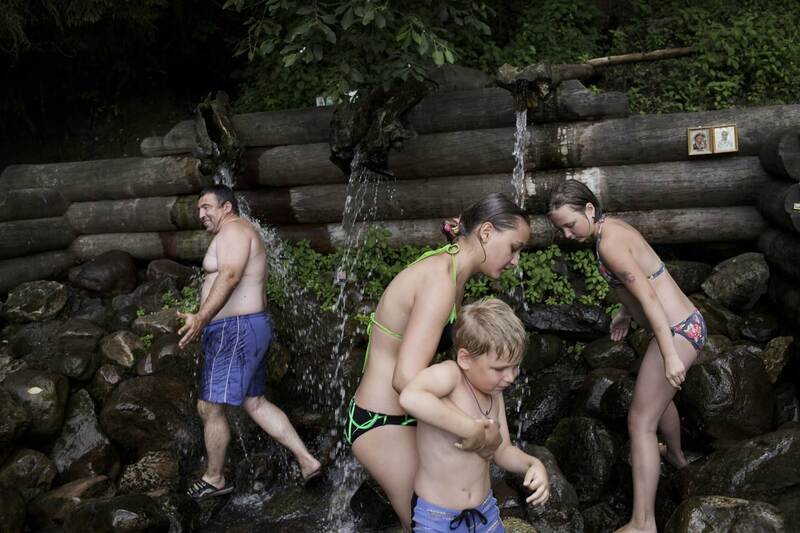 Families bathing under the ice cold waters of a natural spring of water thought to be holy by orthodox christians.